GSAT-16 is a 3-axis body stabilized geostationary communications satellite based on ISRO’s I-3K (I-3000) bus to provide communication services/augment the existing services. 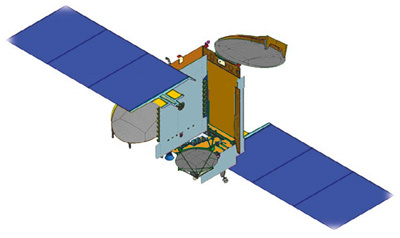 GSAT-16 was approved by the Government on 17 July 2013. It will carry 24 C-band and 12 Ku-band transponders. GSAT-16 spacecraft will provide replacement for the INSAT-3E spacecraft and will also augment the C and Upper Extended C-band capacity. The satellite will be ready for launch on board Ariane-5ECA at the end of 2014.